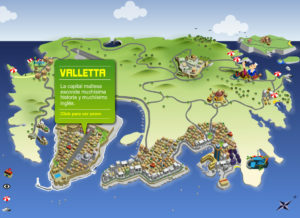 This animated Map of Malta was done for a company based in Malta called Maltamania. It took a while get and develop the concept of it but the result it´s quite nice. Probably I might have to do the translations into different languages. I also did for them their logo.